First Grand Prize at the Feuermann Competition in Berlin at the age of 19, Aurélien Pascal proved that he was one of the most brilliant representatives of the cello of his generation. He shows it again in this recording based on Zoltán Kodály and the Sonata Op.8, a monument for solo cello that is both immense and revolutionary. Adding to the interest of this exciting record is Ruralia hungarica, a collection by another Hungarian composer, Ernő Dohnanyi, recorded as a world premiere in its version for cello and piano. 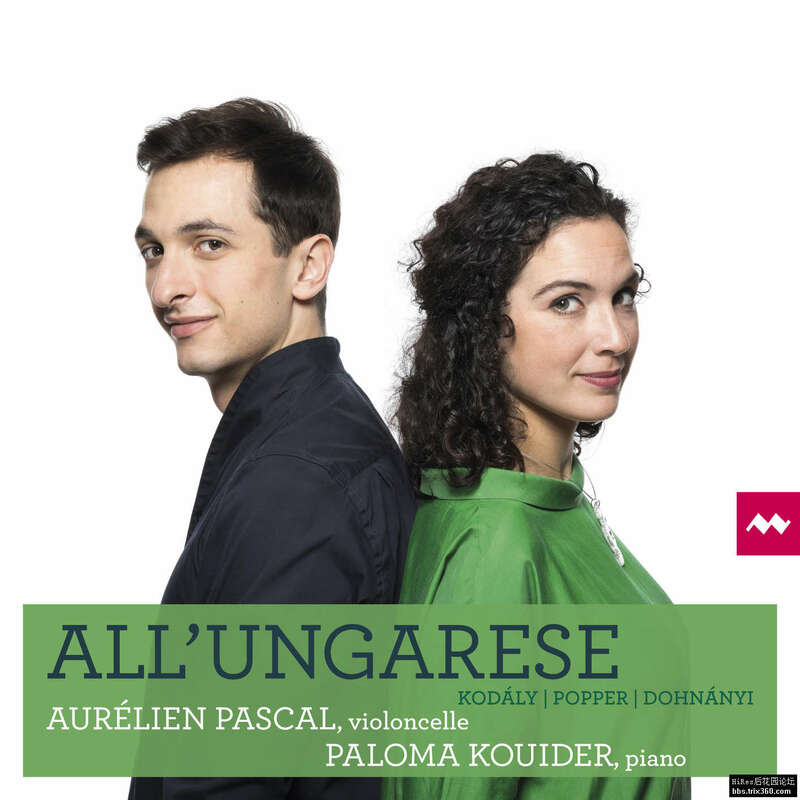 Aurélien Pascal displays in this album the full range of a breathtaking virtuosity, as much as a musicality celebrated everywhere. 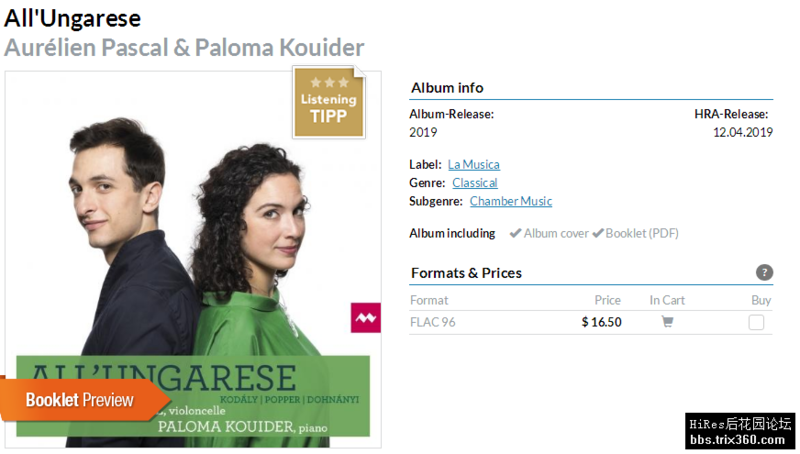 In Paloma Kouider, he finds a partner with a brilliant and committed piano.